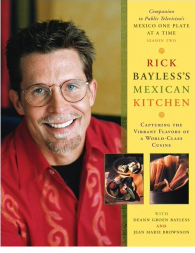 Rick Bayless has been acclaimed widely as America’s foremost proponent of Mexico’s thrillingly diverse cuisine. In his eight cookbooks, he focuses on classic Mexican dishes, delving into their traditional foundations, cooking methods and cultural backgrounds. 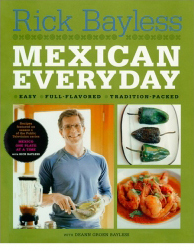 By Rick Bayless with Deann Groen Bayless and David Tamarkin (W.W. Norton & Company, 2015) This follow-up to Rick’s groundbreaking “Mexican Everyday” celebrates even more deliciously simple dishes, with quick recipes suitable for both busy weeknights and weekends with friends. 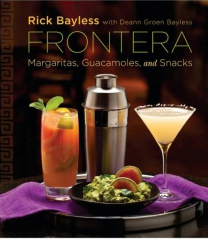 By Rick Bayless with Deann Groen Bayless (W.W. Norton & Company 2012) Rick shares 60 recipes from his restaurant’s most requested offerings: margaritas, guacamoles and snacks. By Rick Bayless with Deann Groen Bayless. 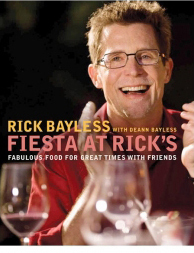 (W.W. Norton & Company, 2010) Whether you are hosting an intimate get-together for a few friends or an outdoor extravaganza for a crowd, Rick Bayless shows you the way. Rick presents 150 recipes, from libations and savory nibbles to street food and live-fire grilled meat and fish. Ideal for anyone who wants to spice up their parties. Rick Bayless understands that preparing the bold flavors of Mexican food requires more time than most of us have for weeknight dinners. His latest cookbook is filled with recipes for fresh, delicious, nutritional meals that take less than 30 minutes to make. 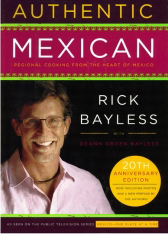 By Rick Bayless, JeanMarie Brownson and Deann Groen Bayless (Scribner, Fall 2000) Rick Bayless understands that preparing the bold flavors of Mexican food requires more time than most of us have for weeknight dinners. His latest cookbook is filled with recipes for fresh, delicious, nutritional meals that take less than 30 minutes to make. 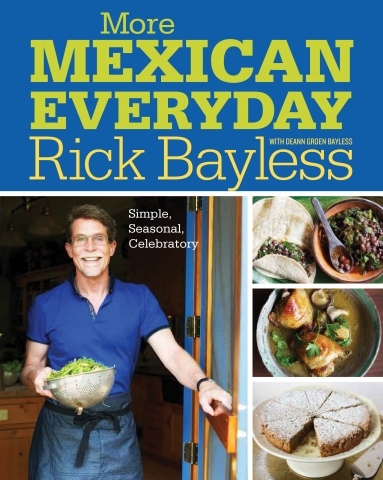 By Rick Bayless with JeanMarie Brownson and Deann Groen Bayless (Simon & Schuster 1998) Rick Bayless has captured the simple truths for transforming readily available produce into bowls of the complex full flavors we enjoy. The lively flavors of Mexico transcend the traditional kitchen, working their vibrant magic on dishes we know and love. 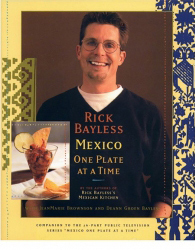 By Rick Bayless with Deann Groen Bayless and JeanMarie Brownson (Scribner 1996) Rick Bayless provides the inspirations and guidance that home cooks have needed to translate the heart of this world-class cuisine to everyday cooking. Winner of the Cookbook of the Year at the 1996 IACP/Julia Child Cookbook Awards. 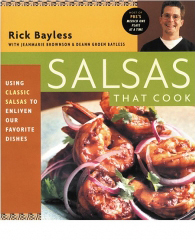 By Rick Bayless with Deann Groen Bayless (William Morrow and Company, Inc., 1987) The complete and easy-to-use compendium of our southern neighbor’s cooking. It’s a book that joins the fundamentals of the Mexican kitchen with the culture that discovered and created them.